This week, a strong acid it's not, but deadly it definitely is. The 37-year old technician spilled only a few hundred milliliters or so in his lap during a routine palaeontology experiment. He took the normal precaution in such situations, quickly dowsing himself with water from a laboratory hose, and even plunged into a nearby swimming pool while the paramedics were en route. But a week later, doctors removed a leg, and a week after that, he was dead. The culprit: hydrofluoric acid (colloquially known as HF), and the unfortunate man was not its first victim. Unlike its close relatives, hydrochloric and hydrobromic acid, HF is a weak acid. This, coupled with its small molecular size, allows it to penetrate the skin and migrate rapidly towards the deeper tissue layers. Once past the epidermis, HF starts to dissociate, unleashing the highly-reactive fluoride ion. Free fluoride binds tightly to both calcium and magnesium, forming insoluble salts which precipitate into the surrounding tissues. Robbed of their co-factors, critical metabolic enzymes can no longer function, cells begin to die, tissues to liquefy and bone to corrode away. And if calcium loss is rapid enough, muscles such as the heart stop working. Burns with concentrated HF involving as little as 2.5% of the body surface area – the size of the sole of the foot, for example – have been fatal. HF has a long history of destructive behaviour, claiming the lives of several chemists in the 1800s, including the Belgian Paulin Louyet, and the Frenchman Jérôme Nicklès. These brave scientists were battling to be the first to isolate elemental fluorine (F2) from its various compounds, using electrolysis. However, it was Nicklès' countryman, Henri Moissan, who succeeded in 1886. To achieve this feat, Moissan not only had to contend with HF – the preferred electrolyte in such experiments – but fluorine itself, a violently reactive gas. His key innovation was to construct an apparatus out of platinum, one of the few metals capable of resisting attack, while cooling the electrolytic solution down to -50°C to limit corrosion. Moissan's feat earned him the 1906 Nobel Prize in chemistry, but the celebration was short-lived. Another victim of fluorine's toxic effects, he died only two months later. Yet Moissan's method lived on, and is used today to produce multi-ton quantities of fluorine from its ore fluorspar. Ironically, while elemental fluorine is decidedly bad for your health, fluorine atoms turn up in some 20% of all pharmaceuticals. The top-selling anti-depressant Prozac, the cholesterol-lowering drug Lipitor, and the antibacterial Cipro, all have fluorine to thank for their success. How is this possible? Because the flip side of fluorine's extreme reactivity is the strength of the bonds it forms with other atoms, notably including carbon. This property makes organofluorine compounds some of the most stable and inert substances known to man. Fluorine's special status also stems from the 'fluorine factor', the ability of this little atom to fine-tune the chemical properties of an entire molecule. For example, replacing hydrogen with fluorine can protect drugs from degradation by metabolic enzymes, extending their active lifetimes inside the body. Or the introduced fluorine can alter a molecule's shape so that it binds better to its target protein. Such precise chemical tinkering can now be carried out in pharmaceutical labs using an array of safe, commercially-available fluorinating agents, or the tricky transformations can simply be out-sourced to someone else. Most of us also have fluorine to thank for our beaming smiles. The cavity-fighting agents in toothpaste are inorganic fluorides such as sodium fluoride and sodium monofluorophosphate. Fluoride not only decreases the amount of enamel-dissolving acid produced by plaque bacteria, but aids in the tooth rebuilding process, insinuating itself into the enamel to form an even harder surface which resists future attack. And the list of medical applications doesn't stop there. Being put to sleep is a little bit less worrisome thanks to fluorinated anaesthetics such as isoflurane and desflurane, which replaced flammable and explosive alternatives such as diethyl ether and chloroform. Fluorocarbons are also one of the leading candidates in development as artificial blood, as oxygen is more soluble in these materials than most other solvents. And radioactive fluorine (18F rather than the naturally-occurring 19F) is a key ingredient in positron emission tomography (or PET), a whole-body imaging technique that allows cancerous tumours to be discovered before they spread. 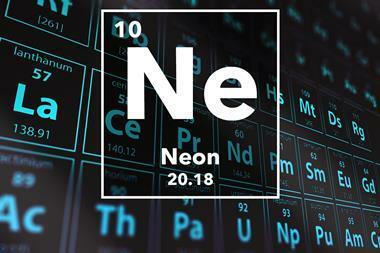 Fluorochemicals are also a mainstay of industry. 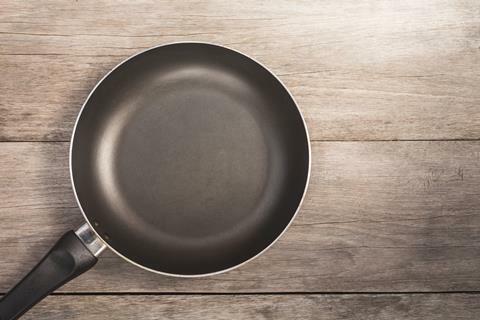 One of the most famous is the polymer polytetrafluoroethylene, better known as Teflon, which holds the title of world's most slippery solid. Highly thermostable and waterproof, it's used as a coating for pots and pans, in baking sprays, and to repel stains on furniture and carpets. Heating and stretching transforms Teflon into Gore-tex, the porous membrane of sportswear fame. Gore-tex's pores are small enough to keep water droplets out, while allowing water vapour (that is, sweat) to escape. So you can run on a rainy day, and still stay dry. 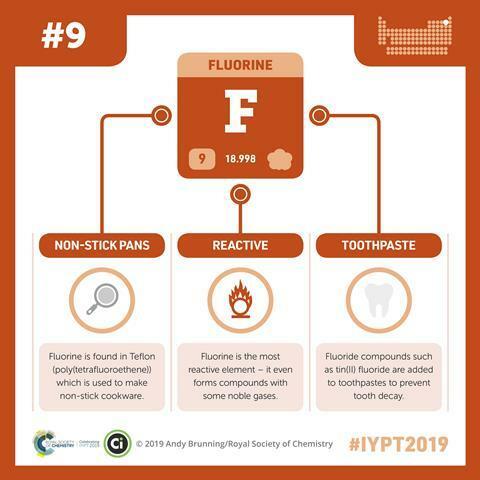 Fluorine plays another important role in keeping you cool, as air-conditioning and household refrigeration units run on energy-efficient fluorocarbon fluids. And fluorine's uses are not limited to earth. When astronauts jet off into space they put their trust in fluoroelastomers, a type of fluorinated rubber. Fashioned into O-rings and other sealing devices, these materials ensure that aircraft remain leak-free even under extreme conditions of heat and cold. And when accidents do happen, space travellers can rely on fluorocarbon-based fire extinguishers to put the flames out. 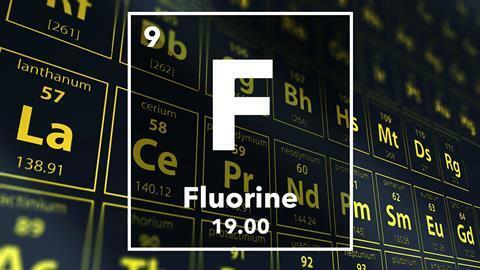 Fluorine has long been known as the 'tiger of chemistry'. And while the element certainly retains its wild side, we can reasonably claim to have tamed it. 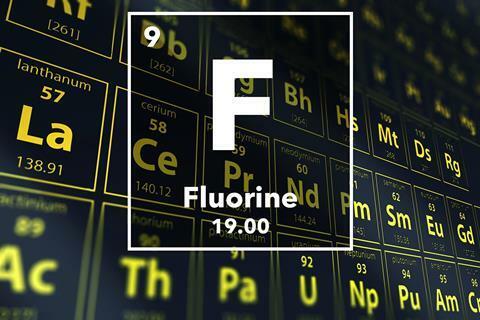 As only a handful of naturally-occurring organofluorine compounds have ever been discovered, some might argue that we now make better use of fluorine than even Nature herself. So Teflon is acknowledged as the world's most slippery thing and I bet there are one or two politicians knocking around who are thanking fluorine for that. Thank you also to Kira Weismann from Zaarland University in Germany. Next week, ouch! I cannot imagine that this is all someone would be saying if they were unfortunate enough to be stricken with the disease of the same name. The ouch-ouch disease. The disease results from excessive cadmium poisoning and was first reported in a small town about 200 miles north west of Tokyo. Rice grown in cadmium contaminated soils had more than 10 times the cadmium content than normal rice. The ouch-ouch-ness of this disease resulted from weak and brittle bones subject to collapse due to high porosity. 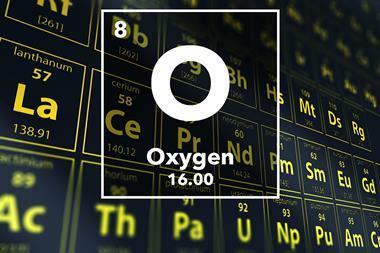 And you can find out about the ouch-ouch factor with Steve Mylon when he uncovers the story of cadmium on next week's Chemistry in Its element. I'm Chris Smith, thank you for listening and goodbye.